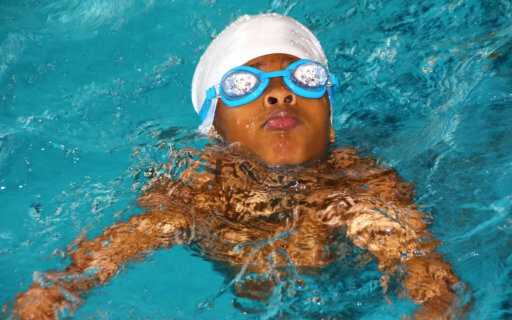 This week’s blog post is around practice and the role it has to play in learning how to swim. In this post, I set out to answer some of the questions that tend to crop up time and time again, around how quickly swimmers progress in lessons and what you can do to speed up the process! So, if you want to find out more, keep reading! Why aren’t you swimming after a couple of lessons? Wouldn’t it be great if we could all swim like Olympians after a couple of swimming lessons? Well, perhaps it wouldn’t be so great for swimming teachers – I guess we would all need to find another job! But, jokes aside, swimming is a complex skill that requires hours and hours of practice to allow us to build confidence in the water and gradually improve technique. After all, “practice makes perfect”, as the saying goes – unless you’re reinforcing bad habits and poor technique! Why do you forget so much between lessons? There’s a lot of research out there around memory and forgetting. But, one theory that has really stuck with me over the years is that of Hermann Ebbinghaus, a German psychologist from the late 1800s. Ebbinghaus’s research looked at how quickly we forget newly learned information. His research described the ‘forgetting curve’, which documents something that I’m sure we can all relate to. He found that we tend to experience a sharp drop in memory soon after learning something new for the first time. He also showed that we tend to retain a mere fraction of everything learned if that information is not revisited. To bring this back to swimming, we tend to forget a lot between lessons, because by the time a week has passed, our memory has experienced the initial sharp loss of information that Ebbinghaus observed over a century ago. You’ll be pleased to hear that Ebbinghaus didn’t pack up shop and give up there and then! Through trial and observation, Ebbinghaus found that frequent reviews could help with retention. He called this strategy ‘spaced repetition’. If you look at the graph (see below), where time since learning is measured on the x-axis and percentage of recall is measured on the y-axis, you’ll see how spaced repetitions can slow the rate of forgetting. To bring this back to swimming, try to make the most of every opportunity you have to practice what you have learned in your last swimming lesson. For children learning to become more confident in the water, encourage them to splash and play in the bath. Get them to blow bubbles in the water and practice putting their ears under the water so that they become comfortable with the water on and around them. For swimmers of a higher ability, try and pop to the pool outside of lessons. This will offer an opportunity to practice what you’ve learnt in your last lesson. And, if you can, make the most of fast-track/crash courses for swimming, which are often available over the school holidays. Fast track lessons will give your children the opportunity to swim every day, giving them the spaced repetitions that they need to support their learning. They will also receive support from teachers who are experienced in helping swimmers of all ages and abilities to become confident and competent in the water. Want to book in for Core Aquatics’ fast track lessons? We are currently taking bookings for our fast track lessons. But, spaces are filling up fast, so avoid disappointment and book today.